Super Motor Spares import an extensive range of Sunwa Filters for 4WD and Commercial Vehicles. 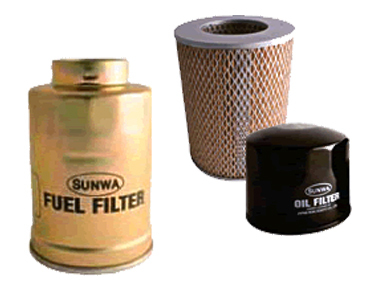 Sunwa Filters are one of the largest manufacturers of automotive and industrial filters. Equipped with the latest technology, they manufacture quality filters for a vast range of Japanese, European and USA applications. Sunwa supply filters worldwide to OEM and after market distributors. Sunwa filters are used throughout the mining industry. Their proven quality protects from extreme dust, heat & water in Australia's harshest conditions. Sunwa Filters meet all quality standards QS9000/ISO 9001-2000.